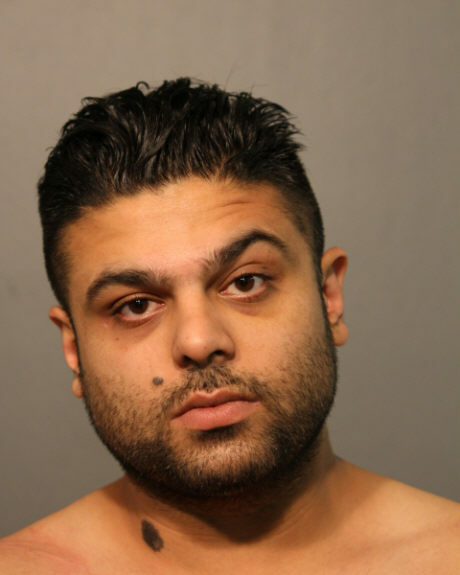 Chicago Police have identified the suspect as Jose Arturo Calderon, 27, of the 3600 block of N. Lake Shore Drive. Calderon is held on a charge of financial institution robbery. Our original report follows. A frequently-robbed Boystown bank was held up again Wednesday afternoon and a suspect is in custody. Police responded to the TCF Bank branch inside the Jewel-Osco store, 3531 N Broadway, shortly before 1PM yesterday after a man handed a note to a teller and demanded cash. The offender threw the bank’s dye pack on the floor before fleeing up an escalator into the attached parking garage, witnesses said. Chicago police scoured the area and stopped a man who matched the robber’s description near a condo building at 3600 N. Lake Shore Drive. The man, seen here in bank surveillance photos, was arrested after being positively identified by a bank employee. 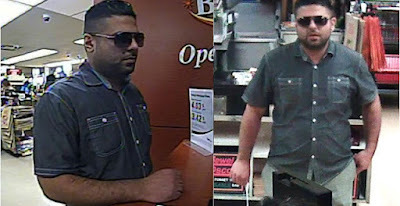 The FBI did not immediately identify the suspect, who has not yet been linked to any other bank heists.